Cost effective solar energy seeks that ever elusive maximal return on the sun's super-abundant free energy. With solar thermal producing high levels efficiency, the challenge is greater in the photovoltaic area. Several developments are already being attempted to some degree in nanotechnology. Spray on and translucent panels that can be used on surfaces including windows are increasing. Of great promise are research areas reflecting super-efficiency found in nature. Cheaper substrates with higher efficiencies should produce that turning point to enable large scale embracing of solar power. Standard crystalline silicon solar panels tend to be among the most efficient solar photovoltaics. Their manufacture involves heavy processing, which imposes a significant carbon footprint on an otherwise low carbon energy resource. Its other great problem has been in the cost of production. The subsequent high unit cost has been behind the relatively slow uptake of an otherwise clean energy resource. Falling prices mainly from Chinese manufacturers over the last two years (50% in 2011 and 20% in the first half of 2012) have seen them become more competitive. It has been behind the collapse of several large western companies that were involved in this technology and could not compete on price levels. Cost effective solar energy has seemed lethal for company survival. Some have compared these changes, though, to the shakeup that occurred with car manufacturers in the early twentieth century. There were many car makers. As companies like Ford established more efficient manufacturing methods and prices fell, those unable to compete went to the wall. It would seem new technology has a settling period. In contrast to the negative news and public impact of such companies as Solyndra has been the brighter outlook of some like First Solar. By developing cheaper to produce thin film cadmium telluride technology photovoltaics First Solar acquired some huge power provider installations. 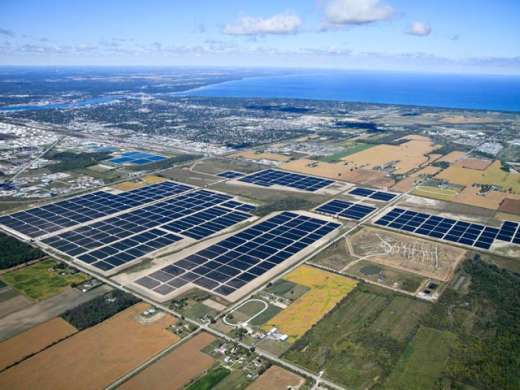 They have installed individual sites with kilowatt level production to huge solar installations up to and over 50 Mega Watts from the UAE, to Germany, Canada and the USA. Although their thin films are less efficient (certified at 14%) than crystalline panels, their unit cost has made for more cost effective solar energy. First Solar's last quarter results stem from this competitive edge. Analysts have been cautioning that this may be a short term gain due to rapidly falling crystalline silicon panel prices, making them once again competitive. From a cost effective solar energy perspective, though, there may be another element of competition on the market that could take the wind out of First Solar's sails. The recent acquisition by Nanosolar of two high level First Solar executives would seem to hint at this. Stephan Hansen has been recruited from being First Solar's European sales director into the role of worldwide sales for Nanosolar. First Solar's , Stefan Zschiegner, vice president of Global Product Management and Applications has been head-hunted also to become Nonasolar's vice president of worldwide marketing. The Palo Alto, San Jose company's solar power research has produced over 300 patents (some still being processed) with their signature product being a solar cell rapidly printable onto low cost aluminium foil. This can be cut to appropriate sizes and packaged very compactly for transportation. Lab testing showing 17% top efficiency is excellent for thin film solar panels, challenging all similar products out there. Although field efficiencies do not exactly match the laboratory values, the panels do not need to be exactly aligned for power generation. They will still generate electricity in low light and clouded situations. They utilize copper, indium, gallium and selenium as nanoparticle inks to drive the unit. No vacuum nor high-sterility environments are necessary in production. All these features allow for low-cost large installations which can challenge current providers. Currently they have manufacturing plants in San Jose California and near Berlin in Germany. Their aim is to replace fossil fuel power plants with solar power without the need for subsidies. That would be truly cost effective solar energy considering the huge number of subsidies fossil fuels are receiving currently.